Novel spinel neodymium-tin ferrite nanoparticles (Nd0.5Sn0.5Fe2O4) have been synthesized by the coprecipitation method; x-ray diffraction (XRD), transmission electron microscopy (TEM), and superconducting quantum interference device magnetometer (SQUID) techniques were used to characterize the crystal structure, morphology, and magnetic properties. The spinel structure of a single phase is obtained according to XRD results. From TEM characterization results, we obtained a spherical morphology with an average of 13 nm. 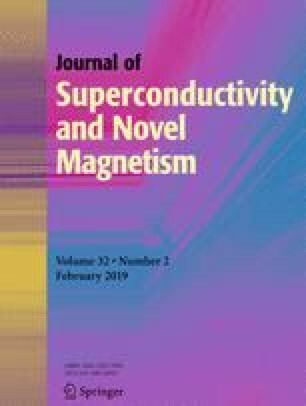 Magnetic measurement indicates that the nanoparticles have a superparamagnetic phase with a corresponding blocking temperature (TB) of about 360 K. These new nanomaterials can potentially be used in nanoelectronic devices, magnetic sensors, and hyperthermia application. This work was supported by the MESRSFC in the framework of the national program PPR under contract no. PPR/2015/71.